Marica recently got a cookbook out of the library and was looking through it one afternoon. 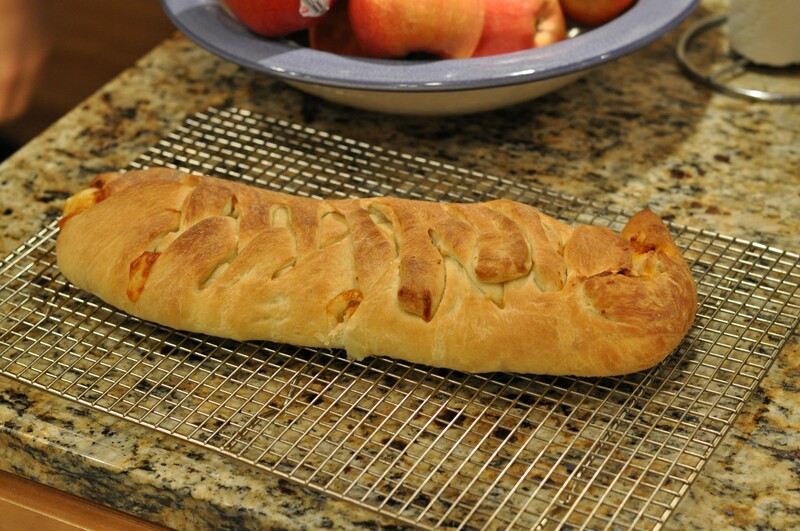 She came to me and said, “I’m going to make Stromboli, and I don’t want you to help me.” Sure! I told her to go ahead and call me if she needed any help, but she didn’t need any help. Look at the awesome results! Both beautiful and tasty. Marica’s recipe repertoire is growing and there are now a few dishes she can make without any help. I love that this is something she wants to do all of her own volition. She enjoys it, she’s good at it, and I get a night off! Win-win, in my book! Great photos, hun. And well done, Marica — it looked beautiful and was very yummy! Wow! Good for you Marica! She might act like it sometimes, but no, she’s only 8. Wow, that’s impressive! looks delicious. Hurrah, for the chef! You are an inspiration, Marica! Mmm… I think we’ll try it too. 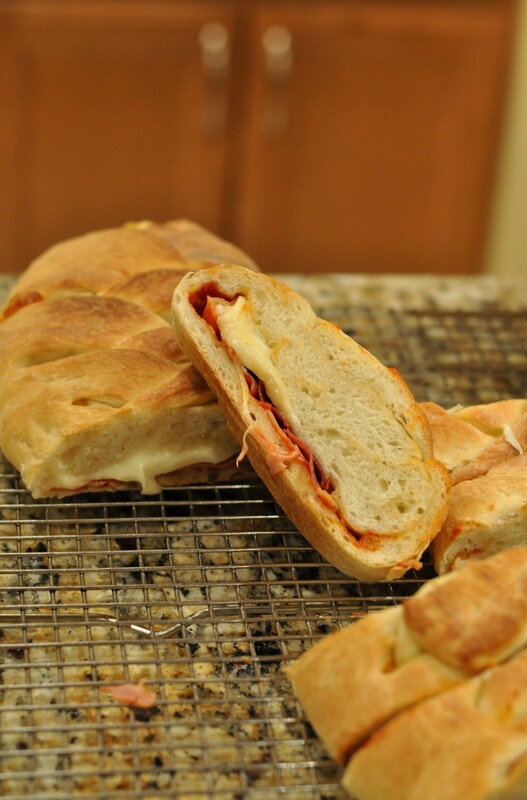 :-) It looks a bit like calzone (a folded-over pizza) which we’ve made before.